We love Kraft Classic Ranch in this house. 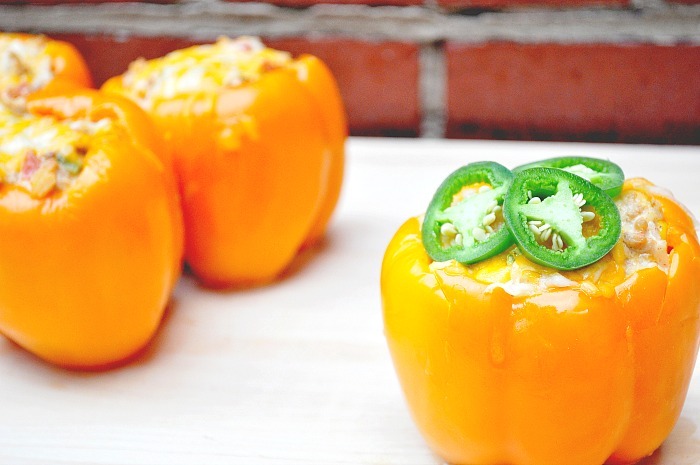 We use it with wings, pizza, salads, casseroles, appetizers, and now stuffed peppers! This summer, I have ended up experimenting a lot with spicier meals, using Sriracha or other hot sauces and jalapeños. Ranch pairs so well with jalapeños that I thought I would create a stuffed pepper meal using these two things. I was so excited with how this dressing recipe turned out – Jalapeño & Ranch Chicken Stuffed Peppers. The jalapeños definitely added a strong kick to the peppers while the ranch both enhanced the flavor and toned down the heat a little. We will be making these again! Cook your rice, following the directions for the rice you are using. Put your ground chicken into a medium-large saute pan and season with garlic powder. Start browning the meat. After browning the meat, add the Kraft Classic Ranch, cilantro, and chili powder to the pan. Mix well. Now, add the Rotel, corn, jalapeños and rice. Mix well. If it looks like you need more ranch or you think it TASTES like it needs more ranch, add a little extra at this stage. Clean your peppers - either coring out the middle or cutting them in half. Spoon the meat mixture into each pepper and put them in a pan. Cover with aluminum foil and bake for 30 minutes. I like adding a little cheese to the top of each pepper and cook for 5 more minutes in the oven without the foil. There can never be too much cheese! Have you tried the new Kraft Pourables yet? I was so amazed by all the awesome choices when I was browsing the aisle in Walmart. They’ve been reinvented for a new and even better taste! The Classic Ranch is definitely creamier now and has more buttermilk and herbs! You should really browse the selection next time you are out shopping. They are all great for salads, but who wants to stop there?! I love how easy Kraft Pourables make recipes – as sauces, like in this recipe, or even as marinades. There are just so many options! Do you have a favorite way to use Kraft dressings? Oh wow! I am a HUGE ranch dressing fan! 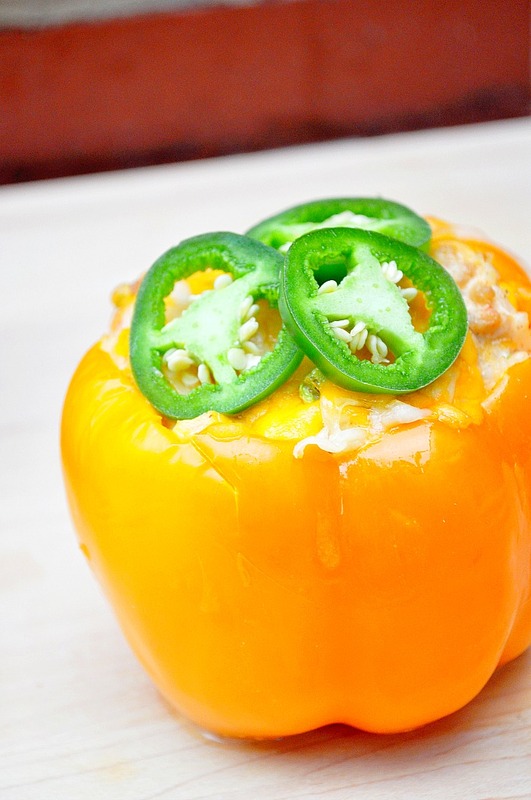 These Jalapeno Ranch Chicken Stuffed Peppers sounds SO delicious! This is going on my list to make ASAP! 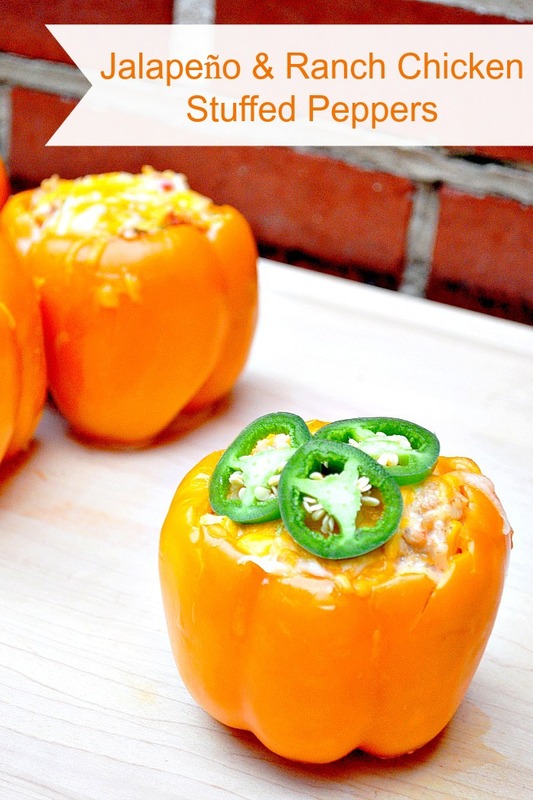 I grew up eating stuffed peppers and I love your spin on the classic recipe! They look, and sound, delicious. I can’t wait to try these out! 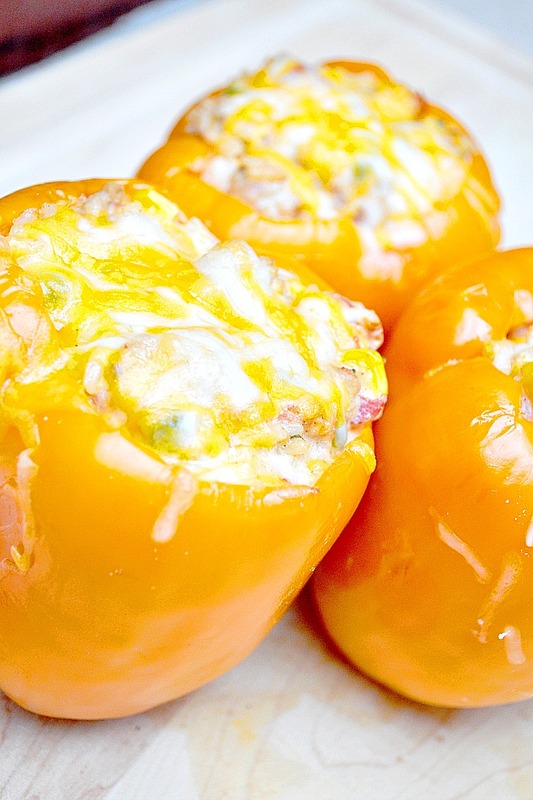 I love your recipe idea for Jalapeño & Ranch Chicken Stuffed Peppers. The ingredients are wonderful together! What a lovely and fun recipe! I love the look of those peppers, too!